Our joinery makes beautiful hardwood oak windows using the finest Oak wood available from FSC accredited sources. 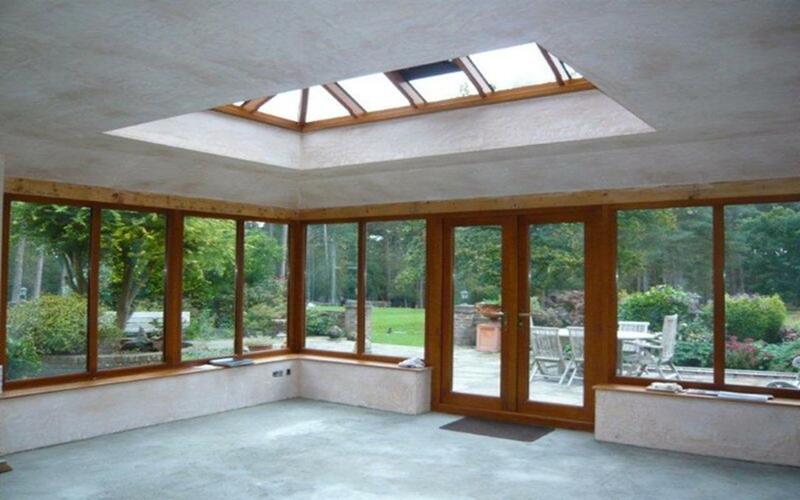 Each oak window can be made to measure for any window replacement project. 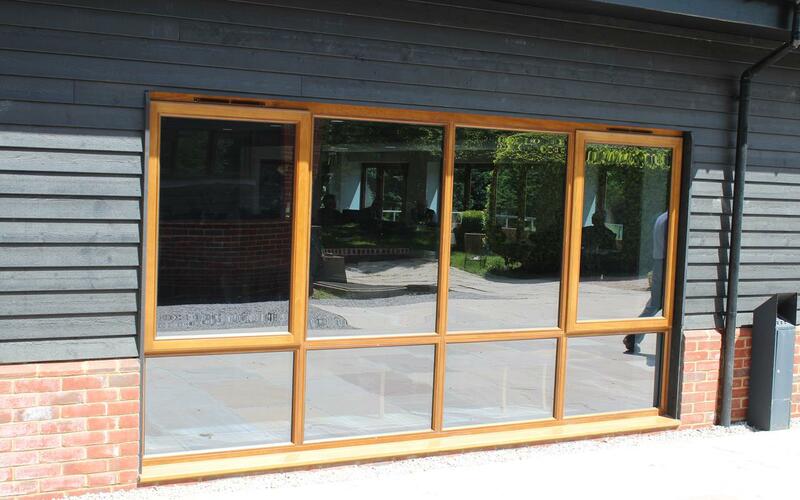 All of our products are of a very high quality, but our oak windows stand alone as the ultimate in luxury and class. Oak windows have a grain structure and colour which can never be truly matched by other timbers. Our Oak windows are manufactured to high standards with specifications to match, generic specifications are below (specification relative to design). All of our Oak Windows are designed and manufactured in the UK using FSC sourced wood. Once manufacture has been completed the item will be sent and delivered shortly after. Products are all inspected thoroughly before being dispatched. Oak timber has been prized for its appealing grain and its high durability for at least 1000 years â€“ oak planks were commonly used in the construction of high-status Viking longships in the 9th and 10th centuries. Nowadays oak is still much desired, but you’re much more likely to see oak timber used to make high quality furniture, flooring and internal joinery such as kitchens and staircases, and external joinery like doors and windows. 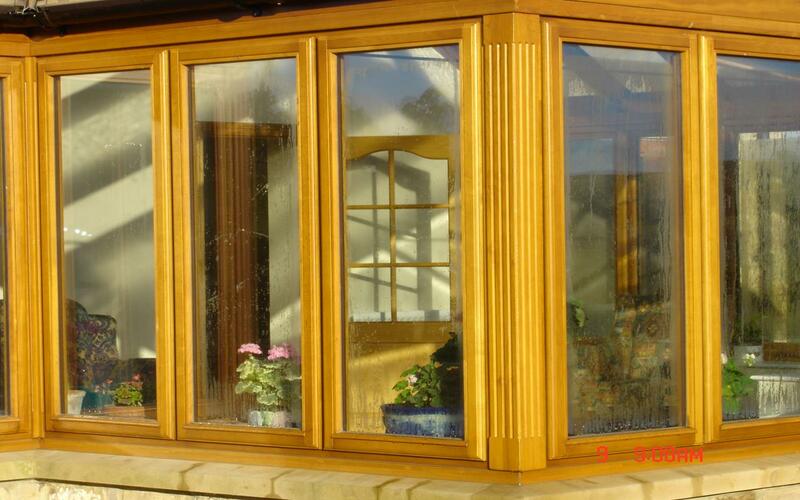 In our oak windows we use only the best FSC European Oak timber which has a beautiful grain structure and colour. Oak windows can be especially suited to farmhouses and other rustic-styled buildings as these are often what would have been fitted when homes like this were originally built. The traditional styling and warm colours of our stained oak windows will make your living space more homely and welcoming, however unlike traditional oak windows our frames have all of the features you would expect from a modern window. We use the latest in locking hardware for exceptional security, dual weatherseals, and highly efficient double or even triple-glazed units which conserve heat and energy for comfort and economy. This means that whether it’s a new-build installation, or replacement windows for an existing property, our oak windows will add a touch of elegance and quality to your home. Oak has a timeless appeal which means that with proper maintenance, your windows should continue to be in fashion and last for decades. The modern hardware we use combined with our versatile manufacturing techniques mean that we can produce both very large and very small opening casements, and even oak sliding sash or bifolding windows. Whatever the frame type, all of our oak windows are of 100% solid oak construction so you can be assured of their quality and durability. 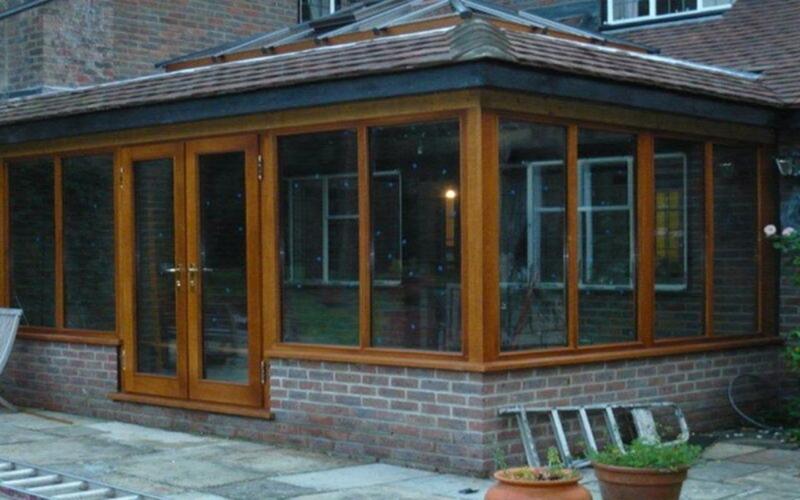 Our oak windows can also be incorporated into bay windows, orangeries and conservatories of all shapes and sizes, which is something else that we specialise in. 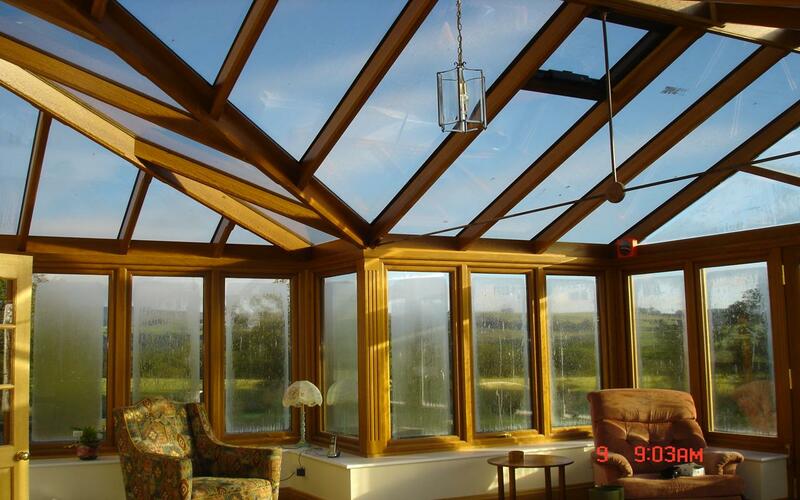 We supply our oak windows across the whole of the UK, including Scotland, Northern Ireland and the Channel Islands. Oak does carry a premium in cost over the other timbers we use, and a good alternative timber where budget is a consideration is idigbo. Idigbo is a tropical hardwood which is naturally more yellow in colour than oak, and the grain pattern and features will not match oak with a close inspection; however, with the right stain colouring, Idigbo can be made to be a very similar colour to oak, so much so that it looks perfectly natural to have for example an idigbo window fitted directly into large oak structural beams on a building. 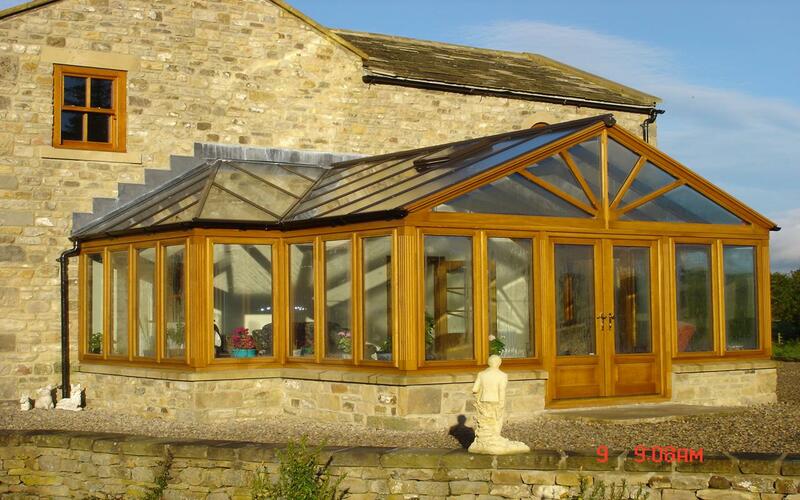 Windows & Doors UK have experienced designers who can help you with the design and style aspects of your Oak windows. From frame style to woodwork, from ironmongery options through to installation our designers can assist.